The eighth hurricane of a 2012 season will continue to churn east in the Atlantic this week. 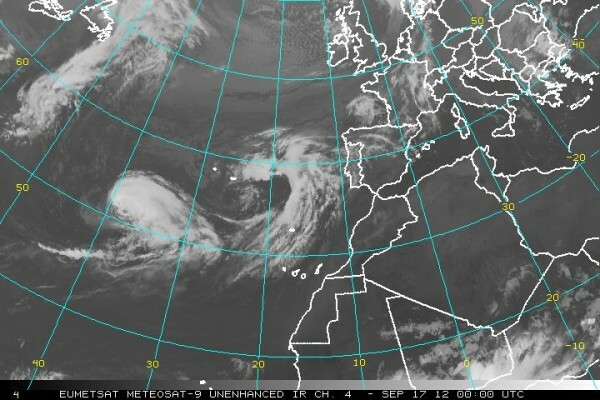 Hurricane Nadine set its eye on the Azores. 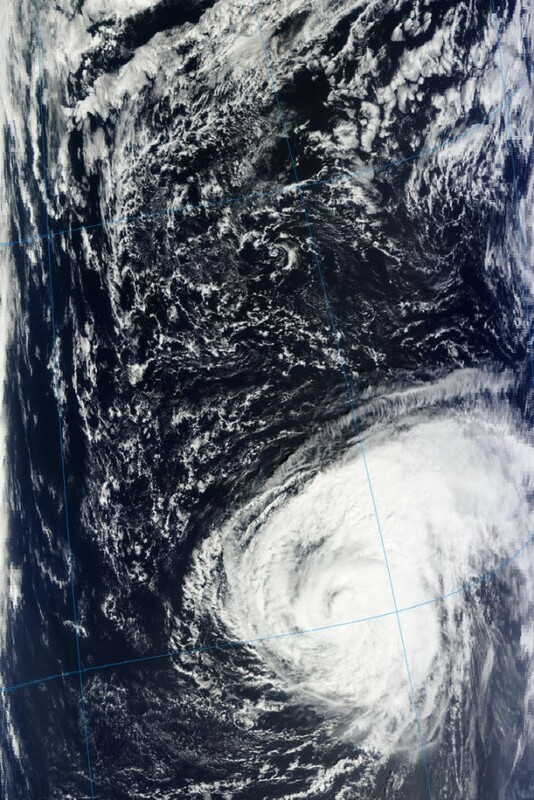 For second time this season Azores will be impacted by a hurricane which is quiet a rare occurrence in one season. Nadine begins to slow down as it weakens to a tropical storm. The system is expected to maintain its minimal hurricane status through midweek although wind shear could weakened it a bit. The strong upper-level winds were pushing the top of Nadine east of the low-level center of circulation. Even if Nadine lose tropical characteristics, residents and visitors can expect heavy rain, strong winds and rough surf. According to latest public advisory by US National Hurricane Center (NHC), the center of Tropical Storm Nadine was located near latitude 31.4 north and longitude 38.1 west. Nadine is moving toward the east-northeast near 30 km/h (18 mph). A turn toward the northeast with a decrease in forward speed is forecast on Monday. Maximum sustained winds are near 110 km/h (70 mph) with higher gusts. Little change in strength is forecast during the next couple of days. Tropical storm force winds extend outward up to 295 km (185 miles) from the center. Estimated minimum central pressure is 987 mB.